Are you going through a difficult phase right now and need guidance? Tiffany is an Intuitive Psychic Empath. She has built her following of clients based on the intuitive connection she has with her clients. 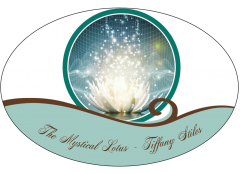 In giving Spiritual Life Coaching guidance for over a ten year span, Tiffany has the gift to hone in and connect with the energy of her clients and the Higher Angelic Realms to give you the best guidance that is suited for your higher good and higher purpose. What is your main concern? Chose one of the areas below to focus on for a specialized Intuitive Oracle Card Reading by Tiffany. *After you have selected your area of concern Click Here to be redirected to the Intuitive Readings page to order your Reading. Due to ethical reasons I do not perform readings around health or legal concerns.